Lone Star attended a Chili Cook-off Benefiting Thin Blue Line LEMC Foundation and Assist the Officer on March 16, 2019. We were presented with a check for over $700 at the National Meeting later that month. 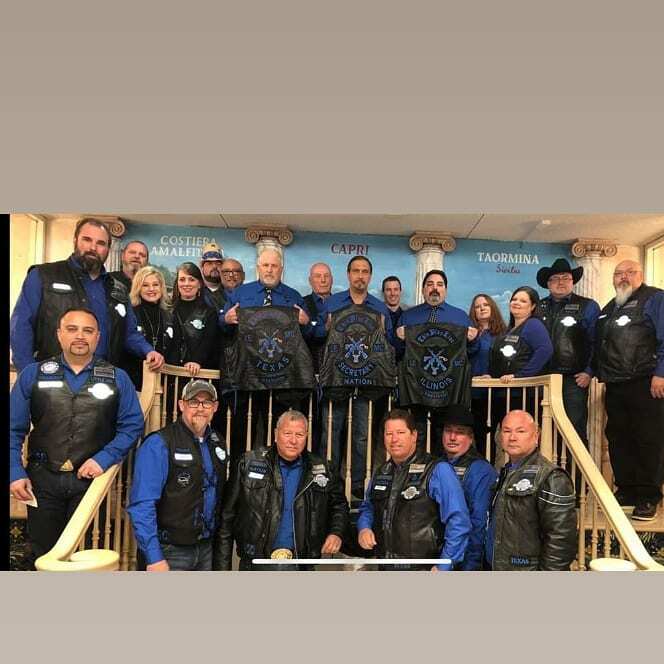 Chicago area Thin Blue Line LE MC members attended the Ride for Zach Olson. Zach is a 19 year old young man with terminal brain cancer. He wanted a large group of bikes to get together to ride for him. We wish Zach well and hope he enjoyed all the bikes that gathered. 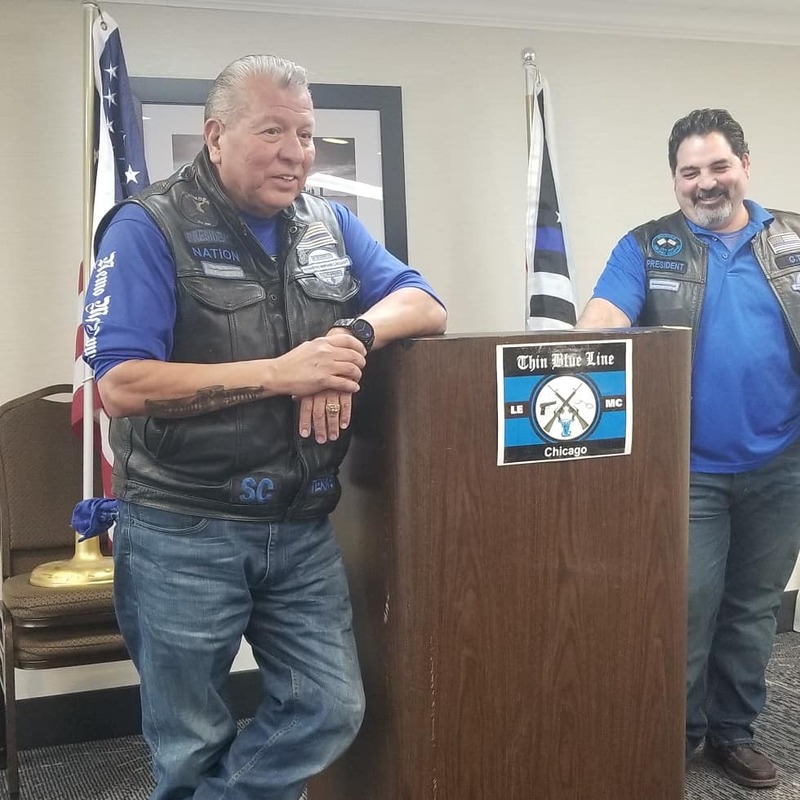 Chicago area Law Enforcement Motorcycle Clubs periodically meet for a Unity Banquet to share in fun and camaraderie. 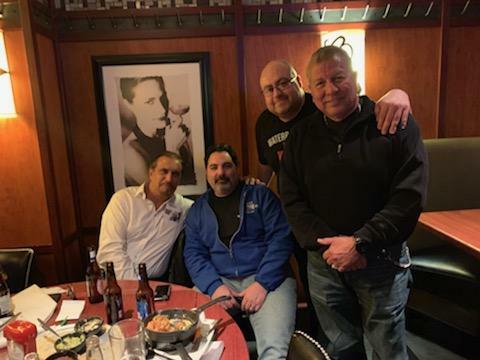 Members of the Thin Blue Line Nation attended the event in support of our Chicago Chapter. Blue Lives Matter March was held on March 10, 2019 at the Houston Racetrack. 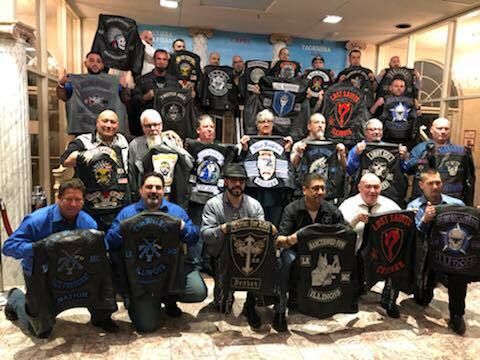 Members of Thin Blue Line LE MC participated in the event and auction. Funds raised will go to the Relentless Defender Foundation and Thin Blue Line Foundation, both foundations assist the families of fallen officers, first responders and the military. 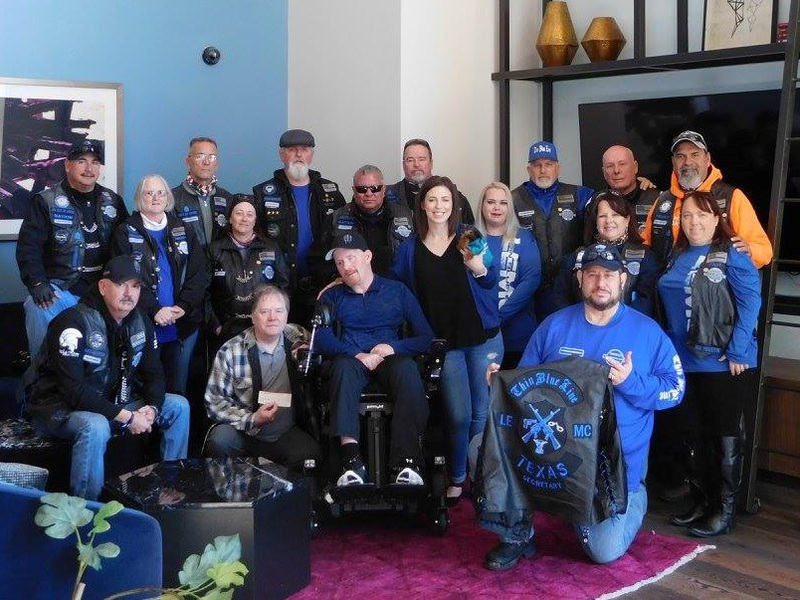 On Sunday, March 3, 2019, members of Thin Blue Line LE MC participated in the Ride for Abigail. Abigail is a 6-year old little girl who is fighting terminal cancer. Her wish was to become a police officer. Freeport Police Department, Freeport TX swore her in as an Honorary Police Officer. The Texas Rangers also made Abigail an Honorary Texas Ranger. TBL Lonestar was presented with a letter of appreciation at the January 2019 Meeting from the Baytown Municipal Police Association for their generous donation and sponsorship of the 2018 BMPA Helping-A-Hero benefit. 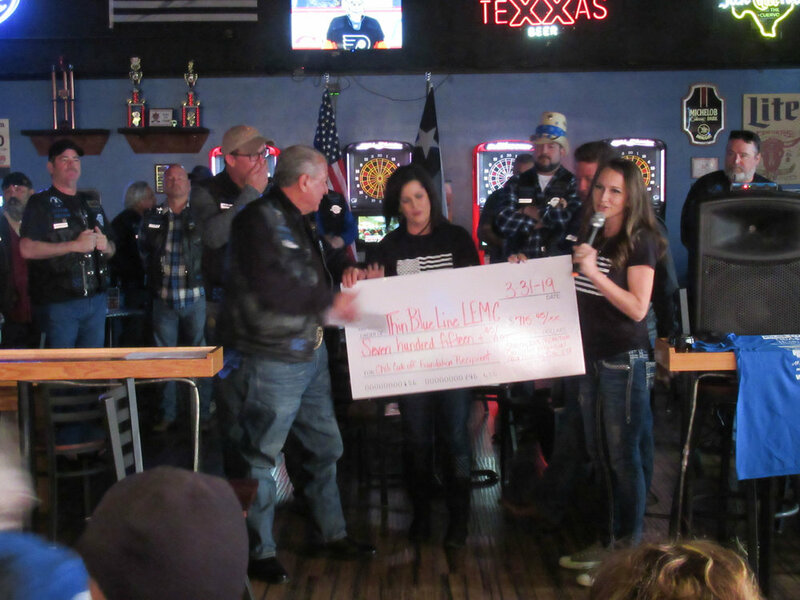 TBL LEMC ATX Chapter attended and provided a check to the TOAG Association for $1,000. The money was a small part from the chapter funds but mostly from chapter member’s private pockets. 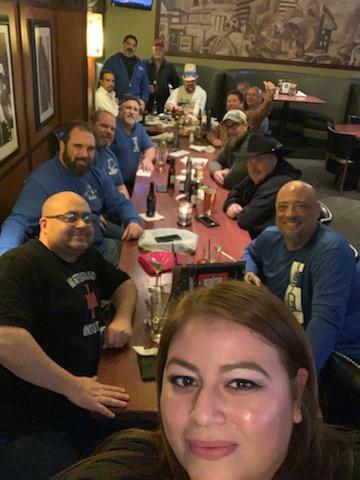 I could not be more proud of the members of TBL ATX Chapter at last minute notice they dropped what they were doing and within 30 minutes had raised $1,000 to help this Texas Guardian of the Thin Blue Line. ATX Chapter members got to meet Captain Hensley's children and learned that the Captain is doing well and in good spirits. I expressed to his children that their father has the fighting spirit of a true Texas Peace Officer Hero. The TOAG Association President advised me that there is an upcoming fundraiser in Houston very soon. 2018 was an exciting year for Thin Blue Line LE MC. We were busy in our communities and helping others. Our year is always packed with various benefits and fundraisers for our first responders and community services. There is never a dull moment in this Club – we participate in as many benefits and events that our time allows. We have annual participation in Back the Badge Ride; Texas Association of First Responders Wild Game Cook-off, Ride for the Fallen in Austin TX; Joey Barraza Memorial Ride in El Paso; Taking children to the Houston Rodeo; Bikes for Excellence; 4th of July parades across the community; Watermelon Run for the Fallen; Brazos Valley Annual 9/11 ride; Thin Blue Line Foundation Fajita Cook-off/fundraiser; Lonestar Rally, and Christmas shopping and toy drives in various communities. Benefit for Officer Nestor Garcia who was hit by a car during a traffic stop. Check presentation to Officer Nick Tullier, who was one of the Deputies shot on July 17th, 2016, in the ambush on Police Officers in Baton Rouge, Louisiana. He was shot 3 times, in the abdomen, shoulder and head. He is still recovering. Houston Police Family Support Unit BBQ Fundraiser - The Houston Police Family Support Unit is a 501(c)(3) nonprofit organization dedicated to the Houston Police Officers and their families in the event of a line-of-duty injury. You can scroll through various toy drives that were participated in across the country. 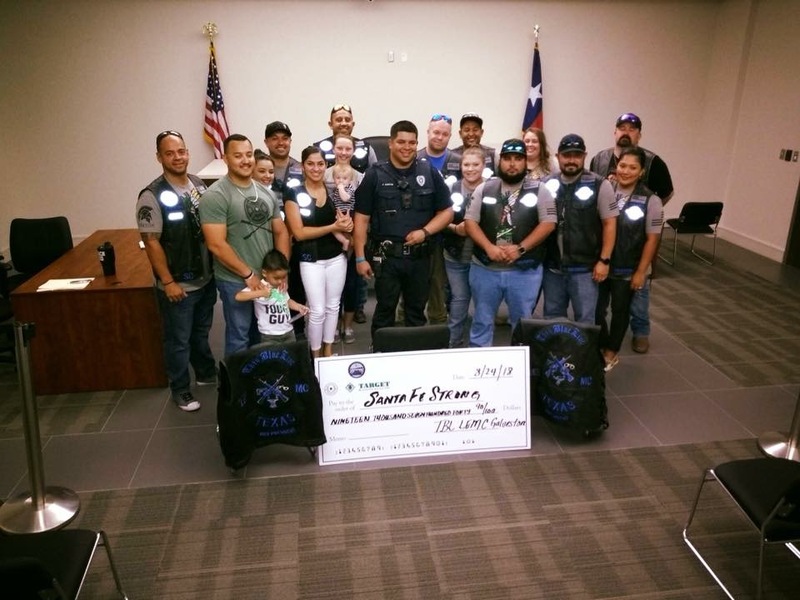 After the devastating shooting at Santa Fe High School, the Galveston chapter of Thin Blue Line LE MC, coordinated a benefit for the community. With the help of Relentless Defender Apparel, t-shirts were made and sold, with 100% of the proceeds going to the benefit. 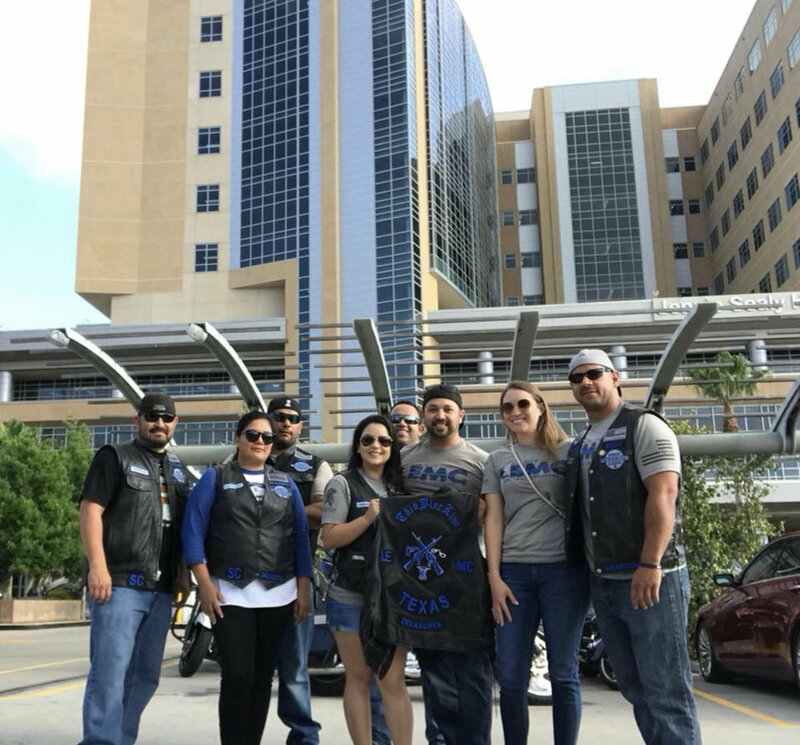 On May 25th, a few members of the Galveston Chapter rode to UTMB Galveston to donate blood for the victims of the Santa Fe shooting. We also visited Officer Barnes that was confined in Jeanie Sealy Hospital. TBL sisters assisting with registration during the Benefit at the Garage in Alvin. On August 24th, we distributed 100% of the proceeds from the ride Benefit totaling $19,724.90 to multiple surviving victims of the Santa Fe tragedy. 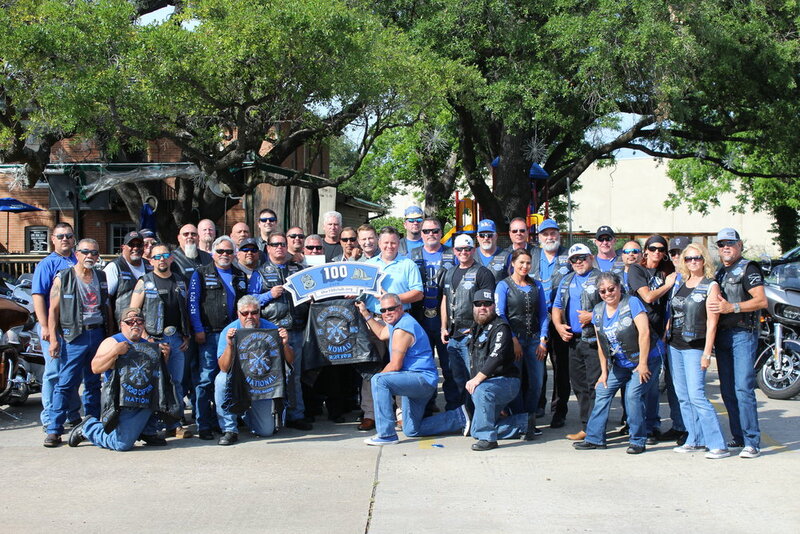 We could not have done this without the support of our TBL brothers and sisters from all chapters.